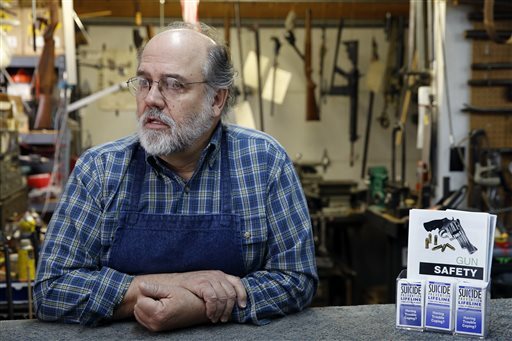 MONTROSE, Colorado (AP) — Keith Carey is a gunsmith in Montrose, a town with a frontier flavor set amid the mesas of western Colorado. He’s a staunch, though soft-spoken, defender of the right to bear arms. Yet now he’s a willing recruit in a fledgling effort to see if the gun community itself — sellers and owners of firearms, operators of shooting ranges — can help Colorado and other Western states reduce their highest-in-the-nation suicide rates. “Suicide is a tragedy no matter how it’s done,” said Carey, whose adult daughter killed herself with a mix of alcohol and antidepressants a few years ago on the East Coast. However, he sees the logic in trying gun-specific prevention strategies in towns like Montrose, where guns are an integral part of daily life. At the urging of a local police commander, Carey agreed last year to participate in the Gun Shop Project, a state-funded program in which gun sellers and range operators in five western Colorado counties were invited to help raise awareness about suicide. It’s a tentative but promising bid to open up a conversation on a topic that’s been virtually taboo in these Western states: the intersection of guns and suicide. Carey’s shop counter now displays wallet-sized cards with information about a suicide hotline. A poster by the door offers advice about ways to keep guns away from friends or relatives at risk of killing themselves. Carey says some customers take materials home, or ask a few questions. The conversations tend to be brief. Across the U.S., suicides account for nearly two-thirds of all gun deaths — far outnumbering gun homicides. In 2014, according to federal data, there were 33,599 firearm deaths; 21,334 of them were suicides. 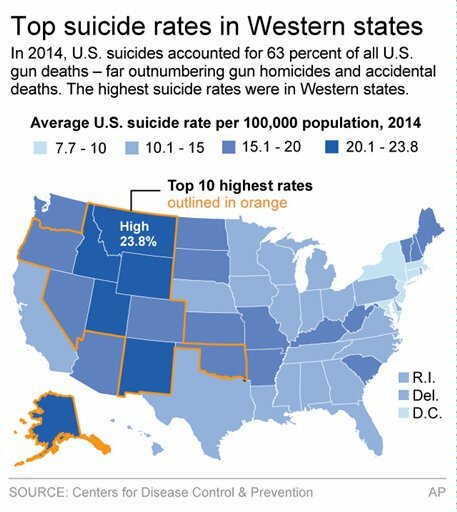 That figure represents about half of all suicides that year; but in several western Colorado counties, and in some other Rocky Mountain states with high gun-ownership rates, more than 60 percent of suicides involve firearms. Along with Alaska, the states with the highest rates form a contiguous bloc — Montana, Idaho, Wyoming, Nevada, Colorado, Utah and New Mexico. All have age-adjusted suicide rates at least 50 percent higher than the national rate of 12.93 suicides per 100,000 people; Montana’s rate, 23.80, is the highest in the nation. Between 2000 and 2014, gun suicides increased by more than 51 percent in those states, while rising by less than 30 percent nationwide. Theories abound as to why such high rates. Commonly cited factors include the isolation and economic hard times in rural areas of these states. There’s also belief that a self-reliant frontier mindset deters some Westerners from seeking help when depression sinks in. Underlying all these explanations is the fact that firearms are more ubiquitous in the West than in most other parts of the country. Catherine Barber, a suicide prevention expert at the Harvard School of Public Health, says residents of gun-owning homes are at higher risk of suicide than other people — simply because a suicide attempt is more likely to involve a gun. According to federal estimates, suicide attempts involving firearms succeed 85 percent of the time, compared to less than 10 percent of attempts involving drug overdoses and several other methods. 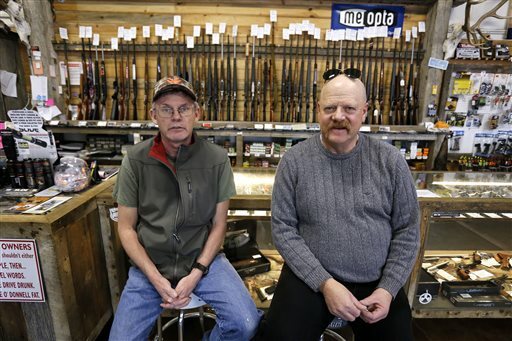 Colorado’s Gun Shop Project is modeled after a program pioneered in New Hampshire. Barber helped design the initiative and hopes collaboration on firearm suicide prevention can spread nationwide. Hindman said that when he joined the state health department in 2004, talking about the role of firearms in suicide was discouraged. It’s still a sensitive topic, he said, but some funding has materialized for gun-specific initiatives. In Montrose, Police Commander Keith Caddy has been around guns since childhood. Now he’s doing outreach for the Gun Shop Project — and most of the businesses he has visited agreed to display suicide-awareness materials once they were assured it wasn’t a gun-takeaway program in disguise. Suicide presents a distinctive challenge for shooting ranges: Occasionally, someone will rent a gun, then use it to commit suicide. 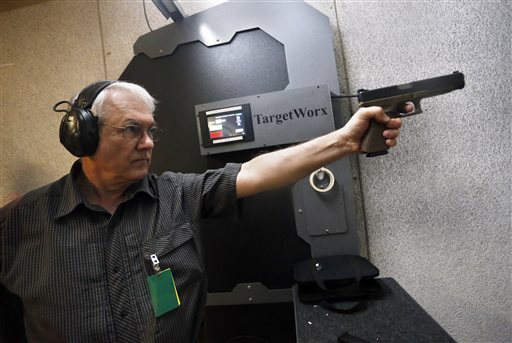 At the Family Shooting Center in Denver, there have been three such incidents, including two since Doug Hamilton began managing the range in 2004. Hamilton is open to letting his staff get suicide-prevention training, though he’s unsure it would help. Those who killed themselves at his range exhibited no signs of stress beforehand. “Suicide prevention brochures aren’t something that anyone’s going to pick up who has come out to our range to kill themselves,” he said. Such challenges are familiar to Dr. Michael Victoroff, a Denver-area physician whose leisure-time passion is competitive shooting. He was at the Family Shooting Center in Denver when one of the suicides occurred there. Victoroff belongs to the American Medical Association and the National Rifle Association, and has qualms about both. “The medical community has been content not to know anything about gun culture and gun safety,” said Victoroff. As for the NRA, he’d like to see suicide prevention highlighted in its training materials. Over the years, firearm suicide has not been a high-profile issue for the NRA; it worries that the topic might be used to advance a gun-control agenda. Though the NRA has no position on Colorado’s Gun Shop Project, it has endorsed a bill in Washington state encouraging gun dealers to participate in suicide prevention efforts, said spokeswoman Jennifer Baker. Throughout Colorado, prevention efforts are fueled to a large degree by people who’ve lost friends and loved ones to suicide. Cindy Haerle, a teacher and board member of the Grand Junction-based Western Colorado Suicide Prevention Foundation, grew up in “a real gun family” in Salida, Colorado, and had her own gun by the time she was 5. But she gave up shooting after her brother John killed himself with a pistol in 1980 at age 29. “Nothing is as final as a gunshot,” said Haerle, who was 13 at the time. In the northwest counties of Routt and Moffatt, the Gun Shop Project is coordinated by Meghan Francone, who constantly reassures gun owners and sellers that the outreach program poses no threat. She got involved after her 15-year-old brother-in-law fatally shot himself in 2010. 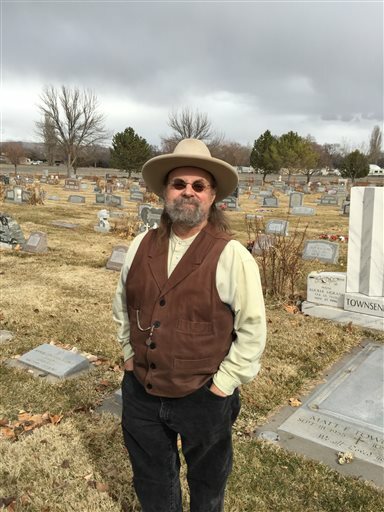 Southwestern Utah's high suicide rates; prevention: What do you say to a loved one? If we criminalize suicide by gun that should stop the problem, right? What a joke ! You talking about logic LOL ! Now that is a dumb idea. Criminalizing someone who is suicidal won’t stop them from killing themselves, it might stop them from using a gun to do it. Why not focus on the issue of suicide, itself. My comment was sarcastic, and referencing the gun bans in areas with high gun crime. It didn’t affect the gun crime though, just took guns away from the legal gun owners, and made gun crime worse due to the fact that only the criminals had guns then. My point was: blaming the guns doesn’t change the fact that suicidal people are suicidal. They’ll just find another way OR steal a gun to do it, and then somehow the gun owner is at fault. Oh yeah, let us get together and blame the gun for suicide. If somebody is gonna “do” them-self, they will find a way of doing it. I think there should be a substantial fine and mandatory jail time for committing suicide. I agree. Maybe if they make suicide a capital punishment crime it will deter them. Oh please don’t let that stop you ! Ya, they could be required to post-date a check for the “substantial fine”, posthumously. Suicide is like a self inflicted abortion. If that’s what a person wants then who are we to decide their fate? Why live a miserable life.